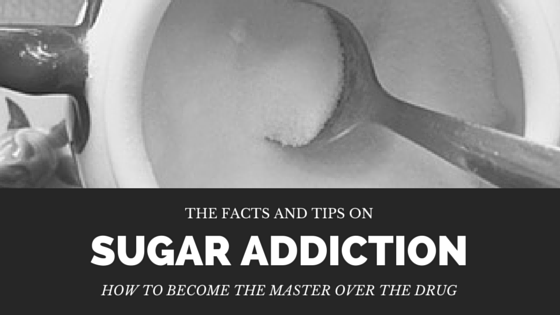 Sugar Addiction - the Facts and Tips on How to Master this "Drug"
Sugar Addiction: the Facts and Tips on How to Become the Master over the "Drug"
Going along with the theme of last month's ezine, we will be talking about sugar addiction. Sugar addiction is real. Not only real enough to make you feel lousy and wanting more sugar but even real enough to kill you slowly but surely. Our bodies have become so accustomed to eating large amounts of sugar and trying to process it all that we don't stop to realize the damage we are doing. How Much Sugar Should We Have A Day? The American Heart Association says that we should limit our sugar intake to 6-9 teaspoons of added sugars every day. Notice it says "added" sugars. What exactly does this mean? As the name suggests, added sugars are those sugars and syrups that are added to processed or prepared foods. It does not include those sugars that are naturally occurring in foods such as milk and fruits. How Much Sugar Are We Actually Eating? As always the list can go on and on but I think we get the idea. 1. Eat only protein at breakfast time. This will fill you up and reduce your chances of having a mid-morning energy slump that is so common after a high carbohydrate meal. 2. Eat a baked potato 3 hours after dinner is what Dr. DesMaisons of Potatoes not Prozac recommends. Why? It stimulates insulin release and is high in potassium. Unlike most carbs, potatoes insulin response is more stable which means that are sugar cravings will be reduced and mood swings. 3. Eat protein with your dessert. This will also help to reduce a rapid spike in blood sugar levels and will give a more stable insulin release. It's easy to do to: have a glass of milk with your brownie, eat a good piece of cheese with some berry trifle, have nuts with chocolate. 4. Drink lots and lots of water. Water will help to keep you full and satisfied. Drinking lots of water is also a good thing to do after you have over-indulged in sugar as it will help clean it out of your system faster. 5. If you are craving a high sugar food eat a piece of fruit to satisfy your sweet tooth. It will take a little while to build up to accepting fruit as a sugar but once you do you will find that you crave those healthy sugars found in fruits, more and more. 7. Eat a small portion, put the rest away and savor it. Sometimes it is better to indulge a little than to completely go cold turkey and risk a sugar binge session later. If your favorite cake is right there, have a piece and reward yourself a little for your efforts. After you have served yourself though, remove yourself (or the cake) from close proximity, sit down and take small, savoring bites. 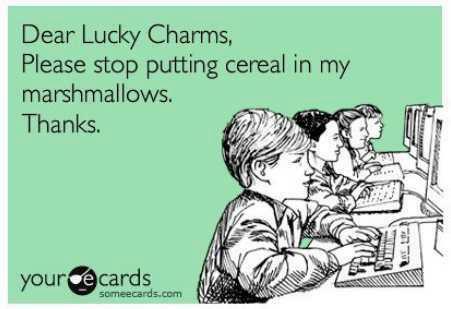 Your mind really only wants you to "just taste it" and a small portion can satisfy the urging. 8. Do not rely on sugar-free foods. So you found some sugar free desserts that taste pretty good but...that does not mean that they are a healthier alternative. A lot of sugar free foods make up the omission of sugar by either lots of fat, sodium, or other harmful chemicals and additives. These can make you crave sugar even more! 9. Try Stevia! It is a natural zero calorie sweetener that comes from the herb, Stevia. It does not spike blood sugar levels and is 200-300 times sweeter than sugar which means you only need a little bit. This is what I use to sweeten up my coffee! Dave Goldberg, an entrepeneur and husband to Facebook's CEO Sheryl Sandberg, lost his life when he fell off a treadmill on May 6. Here are some ways to become more aware when treadmill running . Shopping for new running shoes. (I know I am even when I'm not *wink). This video, Prescribing Running Shoes has some great tips for newbies and veterans alike. "Xu Zhenjun from China is the record holder in backwards running. He ran the entire Beijing International Marathon backwards. While many (forward) runners are happy when finishing in under 4 hours, Zhenjun crossed the finish line after 3:43 hours." Since last month's eZine though we have added new books to our Best Running Books page. And of course the usual maintenance and social media activity which by the way, we would love to see you on. We update our Facebook Page daily! Of course if you have Twitter we do that too. We also have a lot of fun over on Pinterest !